When it comes to securing financing for a new house or an existing property, getting a great mortgage rate is at the top of all of our lists. This is probably because even a small difference in your mortgage rate can make a BIG difference to the total interest you’ll pay over the lifetime of your mortgage and overall amortization. The truth is that getting a great mortgage rate often comes down to having great credit. But did you know that having no credit can be just as damaging as having bad credit? Did you know that credit reporting agencies don’t verify the information that is given to them? Or did you know that your credit can affect more than just your ability to qualify for loans? In fact, it can affect many of your everyday purchases, from cell phones to insurance to public utilities! So if you’re looking for tips to improve or repair your credit, read on for valuable advice and recommendations to manage your credit and improve your financial situation you can start today! First, always make at least your minimum payment on time on every loan, credit card or other debt you owe. You may think that you can miss a month and then pay extra the following month—but that’s not how the credit card companies operate (or calculate interest). Instead, your required payment will be considered late or delinquent. Most companies will report even one missed payment to the credit reporting agencies – and this can damage your credit score. So make at least the minimum payment on every loan, no matter what, to keep your credit healthy and in good standing with any debtors you have, as well as have the best chance of a high FICO credit score. Second, set up pre-authorized payments so your bills are paid automatically. As I mentioned above, missing even one payment can affect your credit. Debtors don’t care if you intentionally or accidentally forgot to make a payment. They only care if you make your payments on time, every time. Maybe you simply forgot to pay a bill because all of your bills are due on different days and you don’t have an organized system to keep track of them. In that case, setting up pre-authorized payments can be a lifesaver. If you prefer not to use preauthorized payments, setting a reminder on your cell phone or computer can be another great way to make sure your bills are always paid on time. Paying your bills becomes effortless so you never miss a due date. You’ll also save money by avoiding unnecessary interest charges. Lastly, request a copy of your credit report at least once a year and review it thoroughly. In Canada, you can contact one of two credit bureaus (Equifax or TransUnion) directly to request a free copy of your credit report. In the U.S. you can go to http://annualcreditreport.com to get all 3 credit reports from Equifax, Transunion and Experian. Verify the accuracy of ALL information, including your personal information, loans, credit cards, etc. Take note: Credit bureaus don’t verify the information they get from your creditors so it’s up to you to make sure all the information is accurate! Otherwise, you could get a nasty surprise since inaccurate information or information about a loan you don’t recognize could signal that someone may have opened an account in your name, or even possible identify theft. Address any inaccurate information as soon as possible so that you can be on your way to improving your credit. For more tips on managing and repairing your credit you are in the right place. Upgrade My Credit is here to help. To get straight forward advice and tips so you can qualify for the best Barrie mortgage rates, visit my website or give me a call. Darren Robinson is a Barrie mortgage broker, dedicated to offering the best mortgage strategies. He helps people qualify for difficult mortgages and loans. Visit his blog for home buying tips and mortgage renewal tips or call him at 705.737.6161! If you have even mentioned to a Realtor or mortgage professional that you are thinking of buying a home soon, you no doubt have heard the term “pre-approval”. First, let’s clarify what a mortgage pre-approval is NOT. It is not the same as a pre-qualification. The pre-qualification process most often includes pulling your credit score and getting some information from you either verbally or from an application. No verification of any kind occurs. Mortgage pre-qualification happens when your lender approves you as the borrower for a certain amount to buy a house (how much house you can afford), and that you qualify on a least a preliminary basis. A pre-qualification is a minimal first step before most Realtors will begin showing you houses. A mortgage pre-approval is more detailed. This process also includes pulling your credit score, but includes verifying income with paystubs or a W2 tax form, collecting bank statements, etc. and can sometimes even be submitted to underwriting. Mortgage pre-approval positions a buyer to better negotiate a purchase because the seller knows your offer is backed by a lender. Mortgage approval comes after pre-approval. What do you do if you don’t qualify for a mortgage pre-approval? If there are credit or debt road blocks to obtaining a pre-approval, or a pre-qualification, for that mater, now would be the time to start taking steps to improve your credit, and if necessary, contact a certified credit consultant. Don’t let it discourage you. You are on the road to home ownership and WILL eventually start looking for your dream home; you just need to get your ducks in a row, first. Bad Credit Scores Costs You Money! Have you ever considered how much Money You can Save by having a Great Credit Score? If you currently have low credit scores, you may be wondering if you should pay money to improve your credit score. Well, I’ll let you in on a little secret: if you ever get any kind of loan, you will make your money back many times over! The reason is simple. Creditors of all kinds will charge you more – sometimes much more – to borrow money if you have a low or even a fair credit score. 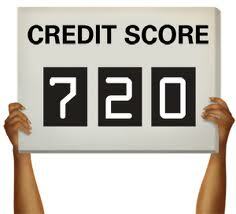 Having a 720 credit score instead of a 640 score could save you thousands or even tens of thousands of dollars. Yes, it may seem unfair, but that’s the reality of the lending world. As someone who has 12 years of experience in the lending world as a loan officer and manager, and now the editor of MyMortgageInsider.com, I could tell you countless stories of how people have saved tons of money by having great credit. Let’s look at an example, taken straight from today’s rate sheets: Someone with a 720 score could get a $200,000 loan with a principal and interest payment of $1013 per month and a rate of 4.5% (4.652% APR)*. The same person with a 640 score would pay $1073 per month and have a 5.0% interest rate (5.155% APR)*. The borrower with a 640 score would pay an extra $60 per month and an additional $21,700 in interest over the life of the loan! How does that fee for credit repair services look now? Pretty low? The bottom line is this: lenders want to see that you are a low-risk borrower. 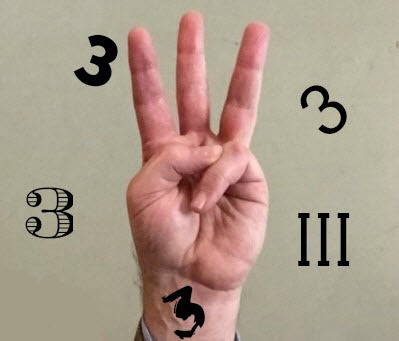 And it all comes down to the three little numbers on your credit report. The higher those numbers, the less you will pay for credit. Heck, many employers look at your credit reports when you’re applying for a job these days, and some may even look at your credit scores! What if your bad credit cost you a great job? Reference NYTimes article on this subject. When you add up all the money you could save and make over your lifetime by having a great credit score, the dollar amount could easily be six figures or more. This is no exaggeration. Yes, it may seem like a lot of work to build, improve, and maintain your credit score. It takes a lot of discipline. But it’s that discipline that lenders are looking for. It proves you are a worthy candidate and will pay back the loan according to the terms you agreed to. So if you can get help from an expert to improve your credit score, take that opportunity despite the time, cost and effort. You will get huge returns on your investment – more than you probably ever expected. *Payment does not include taxes, insurance, or HOA dues. Rates are as of 9/10/13. Purchase price $250,000, loan amount $200,000, property in WA. Scenarios are 30 year fixed conventional loans. Has this been helpful? Please feel free to comment or share on social media. We like helping people. How Soon Can I Buy A Home After a Short Sale? How soon can I buy a home after a Short Sale? This is one of the many questions that buyers ask us before they decide to move forward with a short sale on their home. Many times it is one of the last obstacles to moving forward with a short sale. I heard of a family delaying their decision over a year which ultimately delayed resolving their problem and being ready to buy a new, more suitably priced home the same length of time. The sooner you can move beyond your fears and hesitations and get the information you need, the sooner you will be able and ready to buy again when your credit is repaired. How soon can I buy a house after a short sale? As soon as 2 years! This will vary from borrower to borrower and from lender to lender but the avg recovery time to purchase again seems to be roughly 2 years after a short sale. Please consult with your mortgage expert to be sure. How soon can I buy a house after a foreclosure? 3-7 years depending on circumstances and the original lender and loan. It is VERY IMPORTANT to speak with a specialist in the areas of real estate, mortgage lending and credit before making any decisions about a short sale or foreclosure. 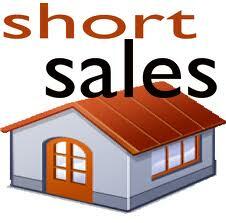 It might even be wise to consult your attorney if he is familiar with short sales. In many cases (not all) buyer’s have worked with a credit repair organization to move the process along further and faster. This may or may not be the best option for you and your family. We would encourage you to get the information you need by taking advantage of our FREE consultation so you can make an informed decision. 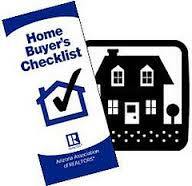 Additionally, after a short sale, take your time, save and prepare yourself for the right buying opportunity. We would love the opportunity to chat with you about your unique situation and about your buying options after a short sale. Give us a call at 888-586-2261 or contact us through the form on this page of our website and we will be in touch. Looks like the public outcry has FHA rethinking their position. Note in bold–wording regarding seeking additional input. Handbook 4155.1 4.C.2.e, Paying off Collections and Judgments. The new effective date of this section is delayed until July 1, 2012. Prior to the effective date, FHA intends to seek additional input on this section and work to clarify guidance, as appropriate. The Mortgagee Letter and FHA Total Scorecard User Guide will be updated and posted to HUD’s website on Monday April 9, 2012. Please Note: With this extension, any case numbers assigned prior to July 1, 2012 are subject to the previous guidance in effect for the subject topics. This means we have 3 more months to get more loans closed. It also means there is more time to come up with a workable plan for implementing the new rulings once they do come into effect. 2011 – still a good time to buy a house! Prepare now! Well, another year is upon us. I remember last year everyone saying “Let’s Win in 2010!”. Did you win? I’ve been thinking of a slogan for 2011, and the only one I can come up with is “2011 is made in Heaven!”. If you can think of any share it with us. 2011 marks 4 years since the announcement of the end of sub-prime lending, and 3 years since the whole mortgage and real estate industry turned upside down. Many changes have taken place, and this year will see the last of them implemented, for the most part. What does that mean for us. First, it will mark the beginning of a semblance of stability, and people like stability. Most of us like predictability with a dash of adventure, not the other way around. I believe this feeling that things are becoming more stable and predictable again will trigger the move into trying new things again, which is what America needs at the moment. Hopefully, one of the movements we will see as confidence increases is home buying–especially by first time home buyers. This is still a good time to buy! Rates may go up a bit, but will still hover around 5%, which is a whole percent lower than I got in 2002 for my current house. If you are thinking about buying a home this year, first get your credit and debt situation worked out. There is no use of looking at houses with your Realtor if you are not sure if you qualify for a home loan. Upgrade My Credit specializes in helping people improve their credit and lower their debt so that they can get a home loan. This can be your year! Give us a call.